L’ornement de tête FRIDA est en cuir d’agneau, il est composé de 3 fleurs et de feuilles. 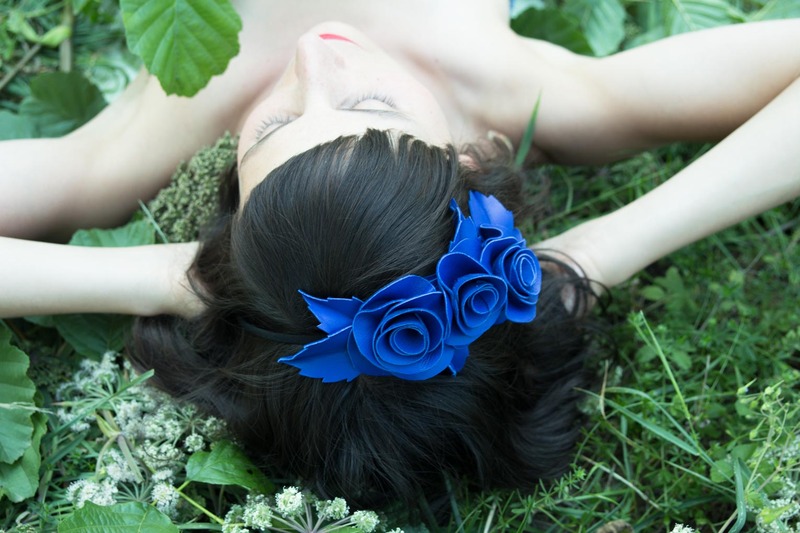 The Frida Fascinator is made out of leather, it is composed with 3 flowers and several leaves. It is maintained by an elastic that is placed on the back of the head.